Moderator Lori Borgman addresses the crowd. Zionsville resident Laura Martin, a former Clay Middle School teacher, explains how she was inspired to write the “Edge of Extinction” series. 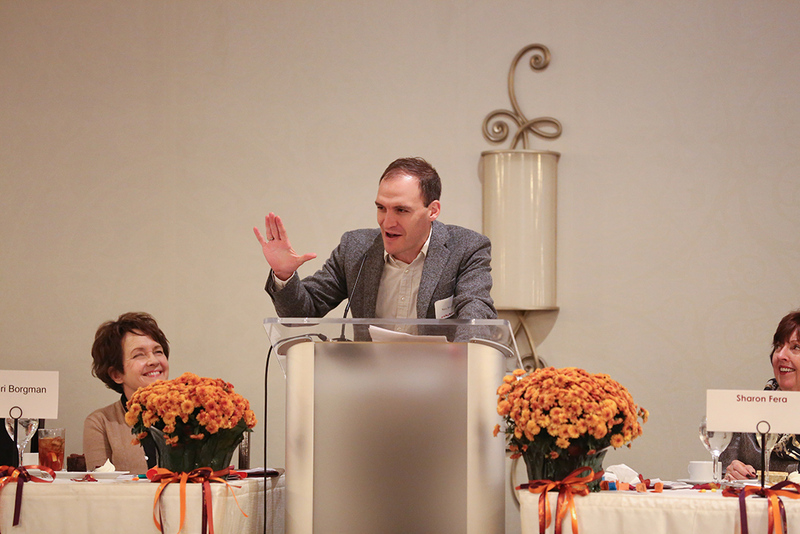 Guests enjoyed lunch before hearing from the six featured authors. 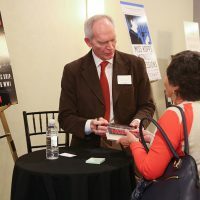 Author Peter Hernon signs a book for Jackie Kenley of Carmel. 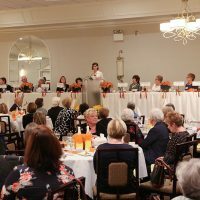 Six authors spoke about some of their recent work at the 13th annual Guilded Leaf Book & Author Luncheon Oct. 19 at Ritz Charles. 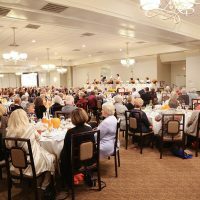 The event is a fundraiser for the Carmel Clay Public Library Foundation. Previous ArticleThor joins Zionsville Police Dept.